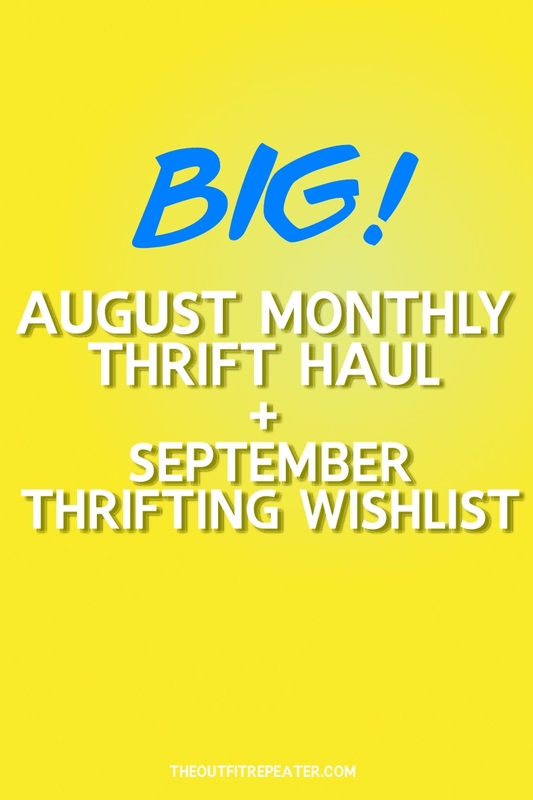 This thrift haul is a pretty big deal! 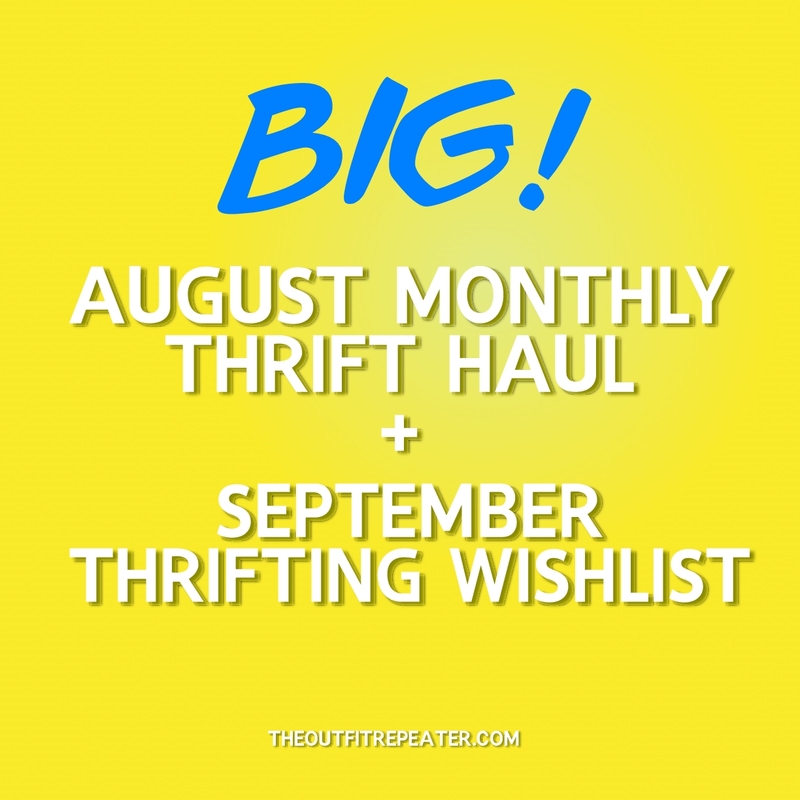 What better way to kick off a new month than to look back at what I thrifted last month? I did quite a bit of secondhand shopping in August, away from the spendy tags at Goodwill, Savers, and the like. Almost everything I bought this month was found at a yard sale, private sale, sale rack.. have I said the word sale enough? Enjoy my finds and maybe even my lame puns! I really killed it with finding things from my thrifting wishlist this month so I have high hopes for next month! There’s just a few things I’m keeping an eye out for and of course they’re clothes. I’ll post a little description below the image so you know why they’re important to me. Sleep shirts. Finding decent sleep shirts that match my style and aren’t cheesy are a rarity. I normally buy these firsthand but would be willing to thrift one if the right one came across my path. 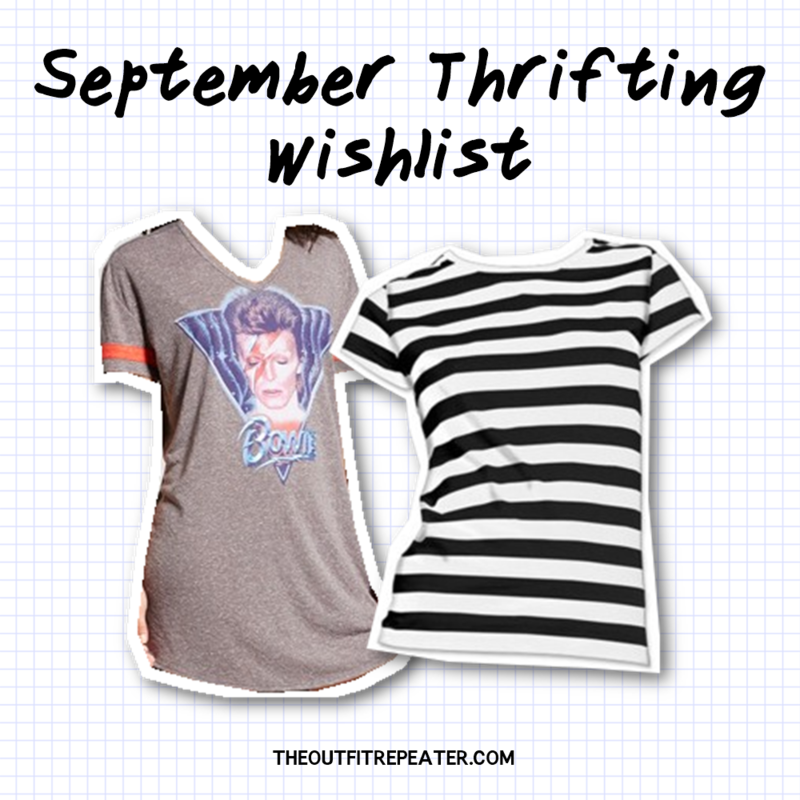 The perfect black and white striped shirt. I’m never not looking for this shirt. It will be mine. Oh, it will be mine. That wraps up my monthly thrift haul + thrifting wishlist. If you enjoyed this, go ahead and share this post on social media. As always I’d love to hear about your thrifting adventures (and misadventures) in the comments below!